Editor’s note: This story is from May 23, 2017. McKenzie R. Wilson was reported safe shortly after the Amber alert was issued by police. The New York State Police Machias has activated the New York State AMBER Alert and is investigating a child abduction that occurred near Shady Lane, in Lyndon, New York, at about 5 a.m. today. 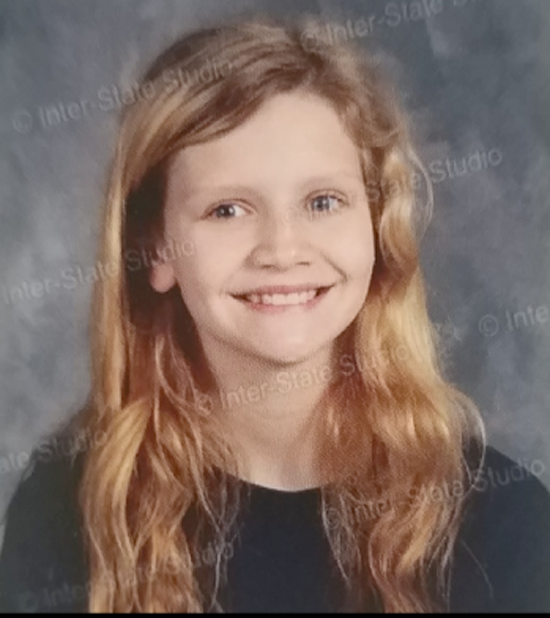 McKenzie R. Wilson is a white female, approximately 12 years 10 months old with strait, blonde hair and blue eyes. She is approximately 5 feet 6 inches and weighs about 100 pounds. The suspect, Joshua R. Monette is a white male, approximately 18 years old with short, black hair and brown eyes. He is approximately 6 feet 2 inches tall and weighs about 140 pounds. The suspect was last seen wearing Camouflage jacket, blue jeans, boots, black shirt, and carrying a black duffle bag. The other suspect is John Harvey is a White male, approximately 16 years old with brown hair. The vehicle has been identified as a Red pickup truck Chevy Silverado with New York license plate number CXA5836. Vehicle was stolen from the vicinity of the abduction and has a black bow tie on the front grille. Vehicle also has an extended cab. The suspect was last seen traveling Southeast on road possibly heading for Allegany Mountains. Suspects took child under circumstances that lead police to believe the child is in imminent danger of serious bodily harm or death. Suspects are believed to be armed with handguns. Anyone with any information on this abduction is asked to call the New York State Police Machias at (866)N Y S-AMBER or dial 911 to provide information on a report or sighting.